Now a days, it's so hard to choose mascara's when there is so many types available out in the market. It can range from cheap to expensive, lengthening, waterproof - non-waterproof, and volume. I struggle with short straight lashes, thin and never seems to want to curl. It's sad but true and the only way is to finely pick out mascara's that work for me. Buxom Lash: This mascara is my all-time favourite. It has a nice rubbery wand, that coats every lash separately and evenly. The colour is blackest of black and the formula is light enough to hold the curls. Tarte Best In Faux: If you love a lengthened lash look, then this is the mascara for you. It's a two step mascara with a bottle of fiber as well. You apply the mascara first, then apply a light coating of fiber to extend every lash. But the trick here is to apply a mascara coating once again to lock the fiber in so it does not flake on to the under-eye. I love how this gives me a faux lash look without actually applying falsies but I would say it is not long-wearing. Make Up Forever Smokey Extravagant: Like the name, smokey extravagant. The cone-shape wand catches even the shortest lash in the inner corner. I love how precise this mascara is and how volumizing the effect it creates. Urban Decay Perversion: This is probably the only mascara that actually hydrates your lashes and coats your lash with a creamy formula. It's pretty good in staying on and making the lashes look thicker but definitely does not last in the curling department. Majolica Majorca Lash Expander: The difference between this mascara to the rest, is the nice comb wand. It has a flat double-sided wand; one for the lower lashes, and one for the top lashes. I would have to say it is really long-lasting, formula is light, and coats really long lashes. Lancome: This one is similar to the rest but different because it gives a nice glossy finish. It gets a little drying by the end of the day but does not smudge. Benefit They're Real: This mascara gives you a great faux look but actually the real thing. It's clump-free, lengthening and holds a curl. But with this mascara, you need to really work the mascara into the lashes and give it time and effort to slowly push the lashes to where you would like it. Here's my favourites, let me know in the comment; which mascara is your favourite? The Urban Decay mascara is one of my favourites! You've got some great picks. I've never came across the Buxom Lash mascara before! It sounds wonderful though :) I'm currently using Perversion and I really like it but my long time favourites are Bourjois Volume 1 Seconde mascara and Maybelline Falsies! 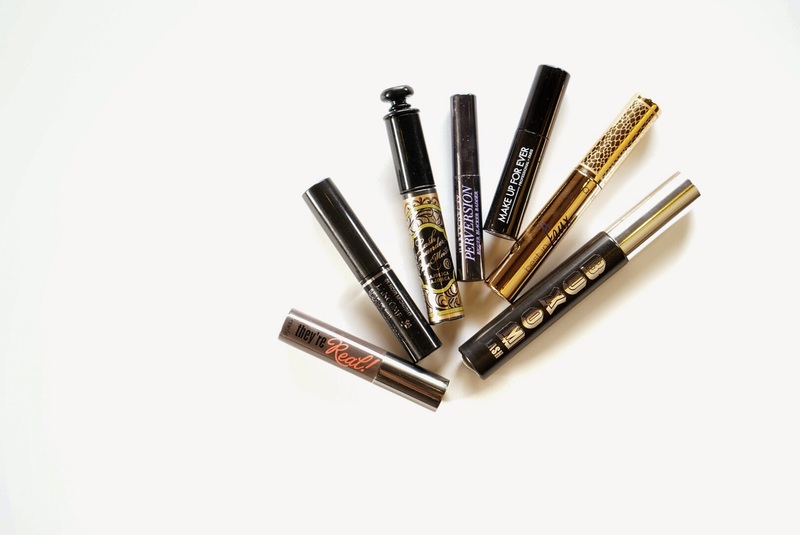 I love the benefit mascaras, have you had the change to try out the new roller lash? i've only tried they're real but i love tarte so i might have to try that one! nice post.I am in love with they're real mascara. © StephyKeung. Design by MangoBlogs.